"I was paying a visit to the studio of Jessica Anne Schwartz, a promising young San Francisco artist recently transplanted to New York, and over in the corner, on the floor, off to the side—she hadn’t particularly been intending to show them to me—she had ranged a series of small painted studies on board from several months back...."
Photograph courtesy of Constance Brukin. 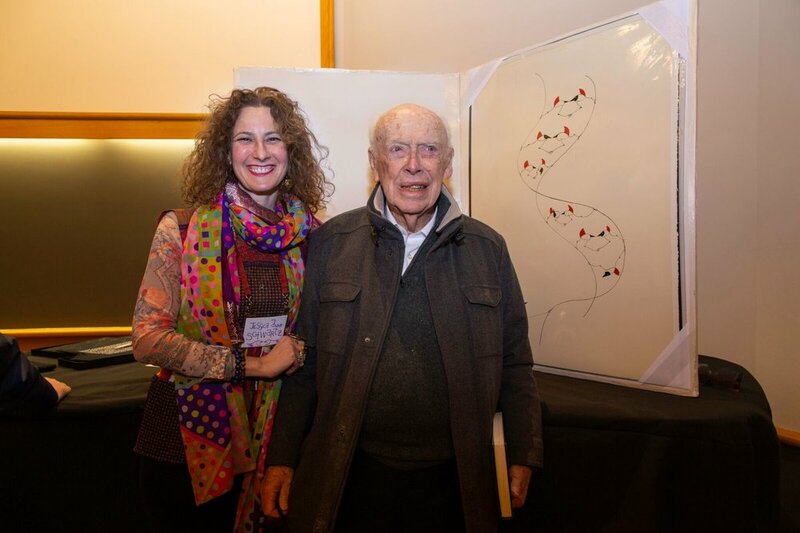 This spring, James Watson, the "Father of DNA", celebrated his 90th year. 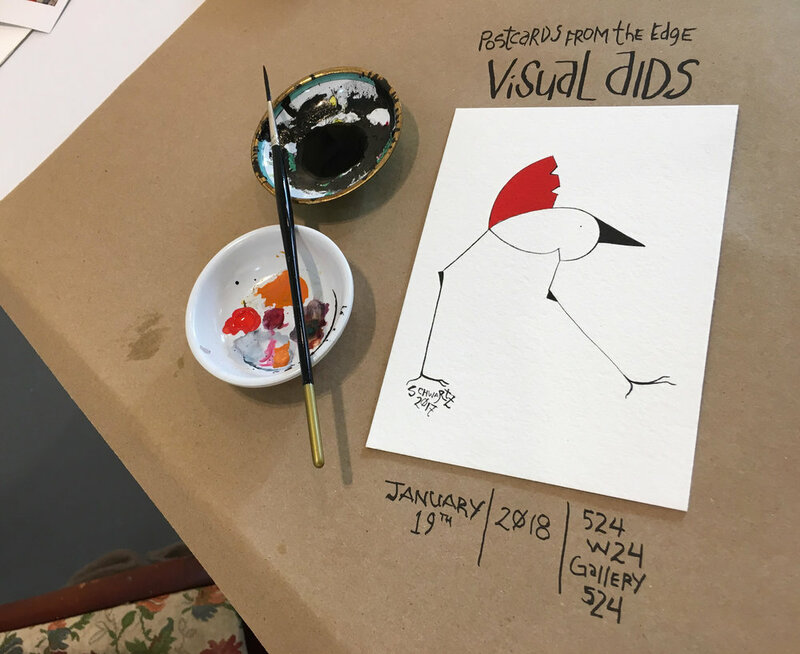 I was honored to present him with Helix the Bird, an ink and gouache drawing on paper. I love collaborating, so this was very special for me. Creating the design for the "Sober Up” tour shirt with AJR was a pleasure. "In the Studio With Jessica Anne Schwartz"
Please join me for my open studio and come see my world. Showing paintings of "Lemons from David the Giant" and select work from continuing and past series. "Inside the Minimalist Healdsburg Home of Designer Colin Bury"
"Jessica Anne Schwartz: Instinctive Formalist"